To claim this profile, please confirm you are Samiya Bess. To follow this profile, please let us know your relationship to Samiya Bess. 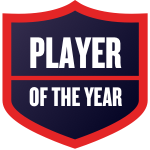 Samiya was named Southern Wayne Girls Basketball Player of the Year. Samiya was selected the Player of the Game in the basketball game against South Central on Wed, Feb 20 2019. Ended the season with a dynamic double-double, 22 points and 20 rebounds. Samiya's basketball stats have been updated for the loss @ South Central. The Southern Wayne varsity basketball team lost Wednesday's away conference tournament game against South Central (Winterville, NC) by a score of 65-51. Samiya's basketball stats have been updated for the win @ J.H. Rose. The Southern Wayne varsity basketball team won Tuesday's away conference tournament game against J.H. Rose (Greenville, NC) by a score of 53-35. 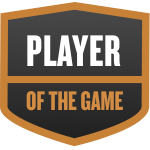 Samiya was selected the Player of the Game in the basketball game against Eastern Wayne on Thu, Feb 14 2019. Samiya had a solid game with 21 points and 18 rebounds. Congratulations to Samiya for scoring her 1000th point at the free throw line!! Samiya's basketball stats have been updated for the loss @ Eastern Wayne. The Southern Wayne varsity basketball team lost Thursday's away conference game against Eastern Wayne (Goldsboro, NC) by a score of 66-48. Samiya's basketball stats have been updated for the loss vs. D.H. Conley. The Southern Wayne varsity basketball team lost Tuesday's home conference game against D.H. Conley (Greenville, NC) by a score of 60-43. Samiya's basketball stats have been updated for the win @ C.B. Aycock. The Southern Wayne varsity basketball team won Friday's away conference game against C.B. Aycock (Pikeville, NC) by a score of 56-39. Samiya's basketball stats have been updated for the loss vs. J.H. Rose. RESULTLoss Girls varsity basketball vs. J.H. Rose. The Southern Wayne varsity basketball team lost Tuesday's home conference game against J.H. Rose (Greenville, NC) by a score of 52-48. Samiya was selected the Player of the Game in the basketball game against New Bern on Fri, Feb 01 2019. Great game and leadership on the court. Samiya's basketball stats have been updated for the loss @ New Bern. RESULTLoss Girls varsity basketball @ New Bern. The Southern Wayne varsity basketball team lost Friday's away conference game against New Bern (NC) in overtime by a score of 49-47. Samiya's basketball stats have been updated for the loss vs. South Central.